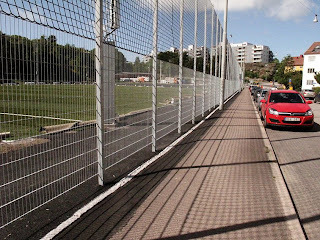 200 meters of fence. 200 photographers. 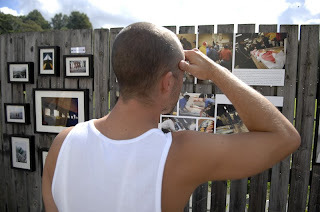 On August 15th, taking place at Majvallen in Gothenburg, the public photo exhibit planketgbg returns.- The point of the exhibit is to get the image into public space, with a mix of all types of photography: commercial, art, press, and amateur, says Edith Camilla Svensson, one of the founders.Last year’s event proved a success. The two hundred meter long fence was filled with everything from beautiful nature shots and exposés to a private photo taken by an unknown photographer in war torn Yugoslavia. The youngest exhibitor was only seven years old.The idea of planketgbg is to give each photographer free rein over a meter of fence space: A single big image or perhaps several small ones, in whichever formats or shapes one so pleases. And anyone is welcome to show their work.Explains the other founder, Mette Muhli:- The fence is a way of meeting across genres and age groups. Regardless of previous experience, whether you happen to be a member of a club or a professional photographer, you can show your images here.Behind the exhibit, just as last year, are the two photographers Mette Muhli, 2008’s Swedish-Finnish artist of the year, and Edith Camilla Svensson, chairwoman of Agitera Image Group. The fence first came to Sweden in 1982 when it was erected in Stockholm, an initiative by photographer Neil Goldstein. But after a few years it died out.Following years of lethargy, new fences are now springing up throughout the country. Malmö, Stockholm, Varberg, are a few examples; and, since last year, Gothenburg.- We want to make it into an annual tradition. It should be an opportunity for photographers to meet in a creative environment, Edith Camilla explains.Planketgbg runs between 11:00 AM and 5:00 PM on the 15th of August. The fence is about 200 meters long, which means that there is space for about 200 photographers. The location is close to Slottsskogen in Majorna, running along Hålekärrsgatan. This year, a sign-up fee has been introduced, and a catalog will be made in conjunction with the exhibition, featuring an image from each participant. Last day to sign up is July 10th.